Mitigation makes communities and people safer from disaster. NHMA offers Practitioners Workshops, bringing NHMA experience and expertise to assist your organization, community or region with mitigation planning, training, outreach and implementation. 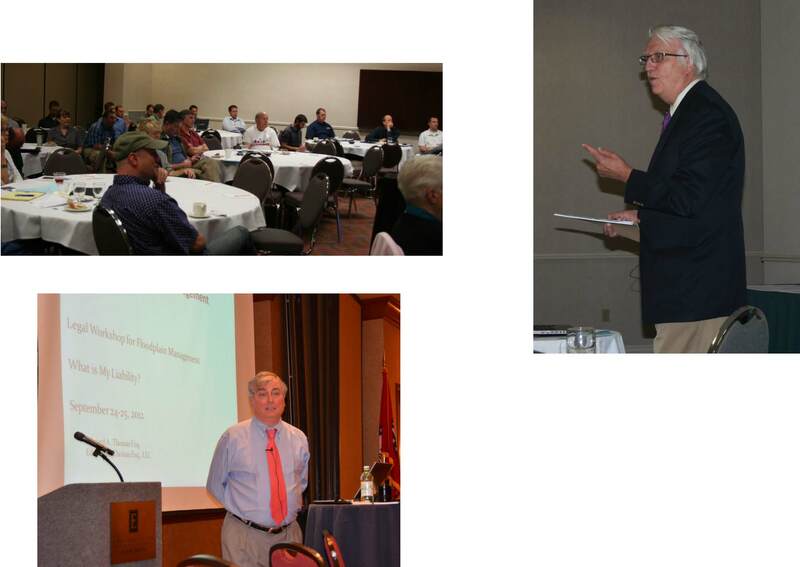 NHMA has presented workshops for flood and hazard specialists, emergency managers, lawyers and risk managers, architects, engineers and builders, and municipal officials and business leaders. We design a workshop format with you, not just to “talk,” but to “walk.” The goal of our workshops is to help you establish an action plan to implement hazard mitigation planning in your organization and community. NHMA workshops can be organized around one-or two-day schedules. In addition, our team of experts can facilitate in-office training to small groups on any of the topics offered. Bringing Mitigation Plan to Life: Introducing mitigation in your organization and community. Planning frameworks: Community Planning for Mitigation and Resilience: visions and realities. Legal frameworks: Win-Win strategies to propose, adopt and regulate mitigation planning. Building Back Better: Community design / Architecture / Engineering / Construction. Excellent. What else can I say? Ed is a wonderful public speaker. I would like to have his presentation slides if he can share them. It was a pleasure to meet legendary Don Watson. Expertise of presenters; open discussion forum. Overall evaluation “10” -Liked everything! Comprehensive topics -animated / passionate speakers. Instructors were clear and understood the subject matter. Attitudes and personal experiences that were conveyed by presenters. A great group. Basic principles of coordination between public entities…Power of “No.” Power of “Yes.” Public and private owners do not have the right to adversely affect other properties. Opened my eyes to a new way of evaluating development projects and of openly and completing mutually beneficial discussions of project completions. Great workshop. Very entertaining and informative. This information needs to be in the hands and minds of local administrators and policy makers, i.e., City Managers and Council members. Real world examples and solutions, specific examples. Case studies. Book recommendations. The legal information about property rights for both Owner and City. Concept of water “detention” for urban areas. Out of state presenters did an outstanding job of making their presentations very local-Great! 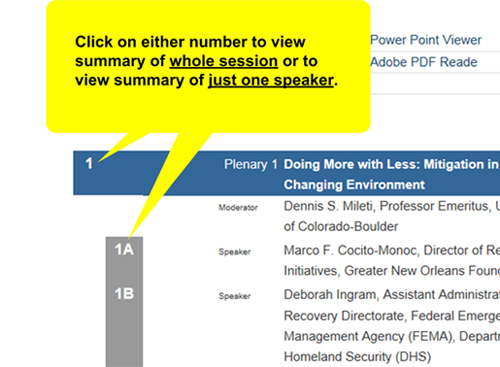 Breadth of audience & presenters. SMEs were indeed SMEs. Collateral benefits to learning -apply to multiple hazards. Discussing FEMA issues associated with municipalities. Hearing current legal stories that apply to municipalities. Locally relevant examples! Case studies. Easily obtained outside resources. Presenters were excellent. Good ideas on why mitigation planning is a fundamental duty.